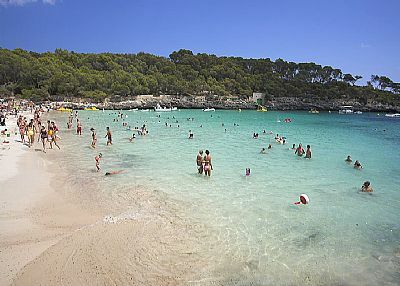 I have a confession to make – I didn’t know Majorca existed until rather recently. Yes, it’s embarrassing and I hope you’ll forgive me. It wasn’t until I was studying overseas in New Zealand and my roommate happened to be from Majorca that I realized my ignorance. He was a great guy and we remain friends to this day through the magic of the internet. With this in mind, it was a solid two months before I really figured out where it was because his accent was strong and I was too embarrassed to ask him to tell me where he was from again after pretending like I knew all this time. Not my proudest moment, I’ll admit. It’s pretty reasonable to say that the weather makes a holiday, particularly one of relaxation. Located in the Mediterranean Sea, the small island of Majorca enjoys all the year ‘round privileges of being surrounded by this warm body of water. While it is a much sought after destination for holiday seekers in the winter, summertime obviously offers the best of the best for this island paradise. What would a holiday destination be without great beaches? Majorca features some truly fabulous beaches, from the snorkelling haven of Cala Mondrago to Port d’Alcudia and its gentle currents. The beauty of being on an island is you’re never at a loss for access to the water, but everyone has their favourite place to take a dip. Whether it’s some place isolated or right in the heart of the action, you’ll love the beach lifestyle of Majorca. 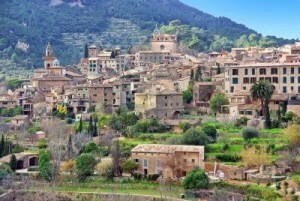 Laid back and welcoming, Majorca is a fabulous holiday spot for its hospitality. It doesn’t matter if you’re intending to chum it up with the locals or chill out with fellow travellers, Majorca attracts people of all walks of life looking to kick back and have a good time. I’ve had a few friend over the years travel here and confirm this, saying that my roommate was pretty much typical of the rest of the population – which is an excellent sign and makes me want to visit even more.